If you follow me on Snapchat, you may have noticed me drinking a lot of shakes for a week in August. 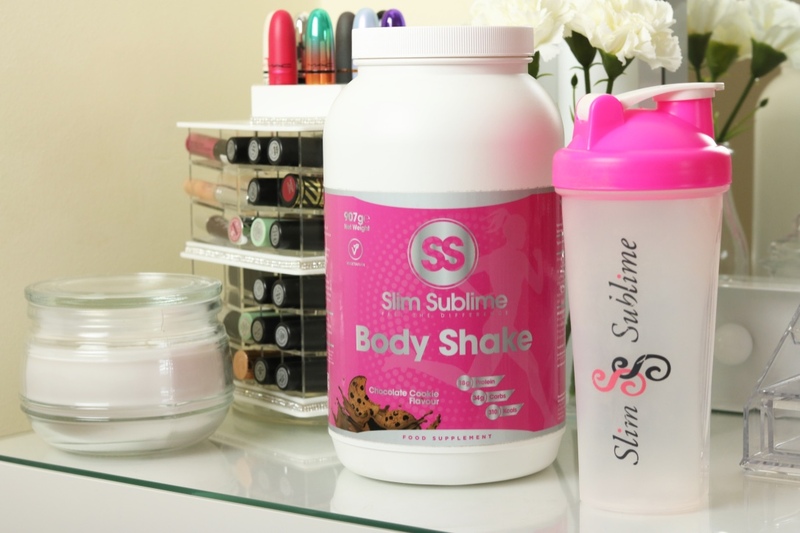 That's because I was reviewing the Body Shake from Slim Sublime! 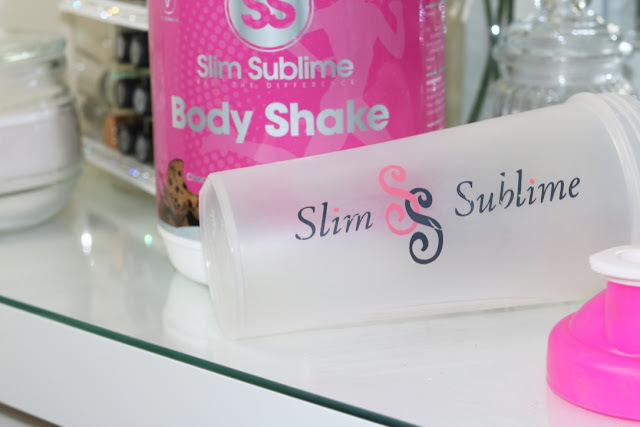 Slim Sublime is a UK based company that promotes healthy well-being and an active lifestyle. They have a really popular Teadox line that you may have seen floating around the interwebs. I was asked to review their products, and I chose the Body Shake meal replacement shakes. They were even kind enough to send me a pretty shaker! 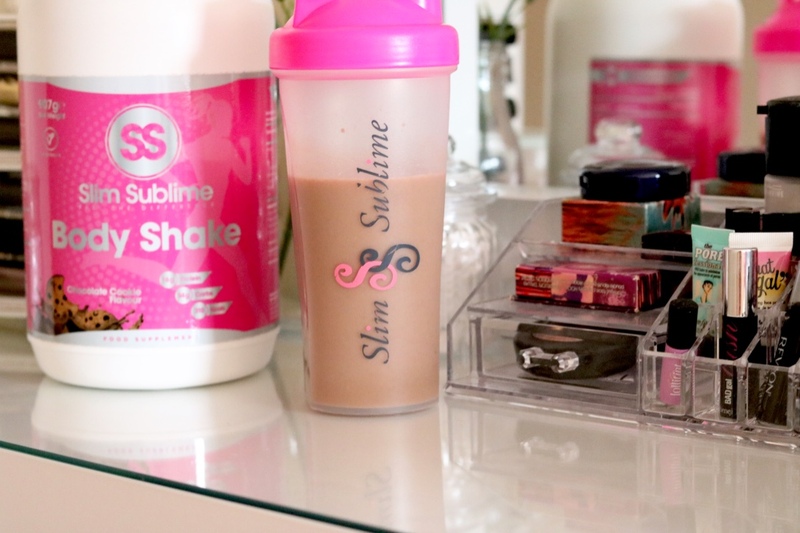 The Body Shakes compromise of a balance of carbs, protein and essential nutrients - perfect for a meal replacement. They have 310 calories per shake. The shakes come in two flavours; Strawberry or Chocolate Cookie. I chose Chocolate Cookie, mostly because I have a mild chocolate addiction. I was told for maximum weight loss results, I should replace two of my meals with the shake and have one healthy 600 calorie meal a day. 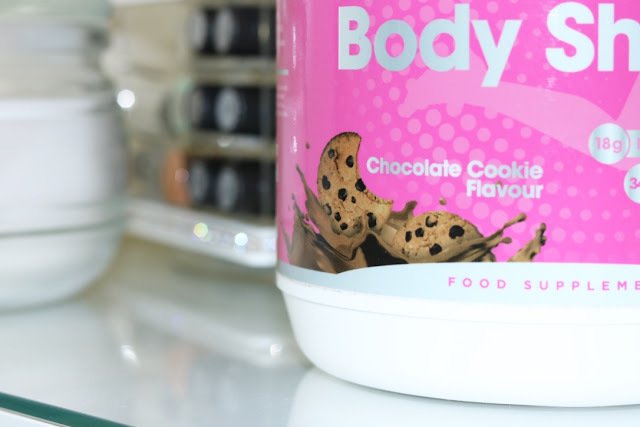 The Body Shake has around 15 shakes in it, at £25.99, it works out to be £1.73 a shake. As far as meals go, it's not too expensive. But with my code - GWENI20, the shakes work out to be £1.39 each. (Smooth Gweni, smooth). For a week, I replaced breakfast and dinner with the shakes and having one normal meal at lunch time. I probably didn't stick to the 600 calorie meal as well as I should have been, but I've been trying to make it relatively healthy. The shakes themselves are actually really tasty, much nicer than the beetroot shakes I used to have when I was at Shapeshifters. I wouldn't go as far as saying it tastes like chocolate milkshake, but it's a worthy substitute! You can have it with either milk or water, but I preferred the taste with water. There is a scoop in the tub, which makes measuring it really easy. Just fill your shaker up to 300ml with water, add a scoop and shake. Simples. It is a pretty thick consistency and leaves you feeling full. 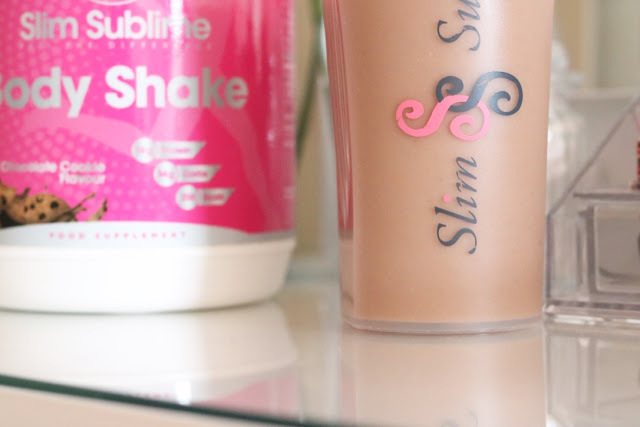 As I had a lot of waitressing/bar shifts on the week I was reviewing it, the shakes were a really great way of keeping on top of my calorie intake and actually eating properly! Shift work can be a real nightmare with food, having the shakes was very handy. Top tip: put your shakes in the fridge, they taste even nicer when cooled. As I was on my feet a lot, looking at food, I found myself craving actual food a lot. I didn't realise how much I would miss the concept of solid food! Wasn't a big deal, it just made it harder to take delicious food out to customers. This got much easier throughout the week and the cravings for solid foods had pretty much disappeared by the end. In general, I was pretty full after having the shake, but I would get hungry a few hours later. I left it a little bit too long after the shake to go to the gym one day, something I would definitely not recommend! With going to the gym, definitely go 1-2 hours after eating. Otherwise you end up quite lightheaded at the gym. Aside from that, I did not struggle too much with having less food in my body. This review came at a really good time for me. I had been eating far too much chocolate beforehand and was heading off on holiday the following week. 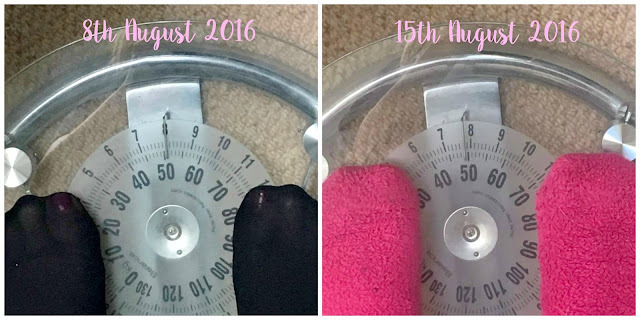 I had already lost a pound by the fourth day! I ended up losing 2 pounds in one week. As I am only a small person, losing two pounds in one week is actually quite a lot for me. Not to worry though, I'm 5ft so being under 8 stone is healthy! 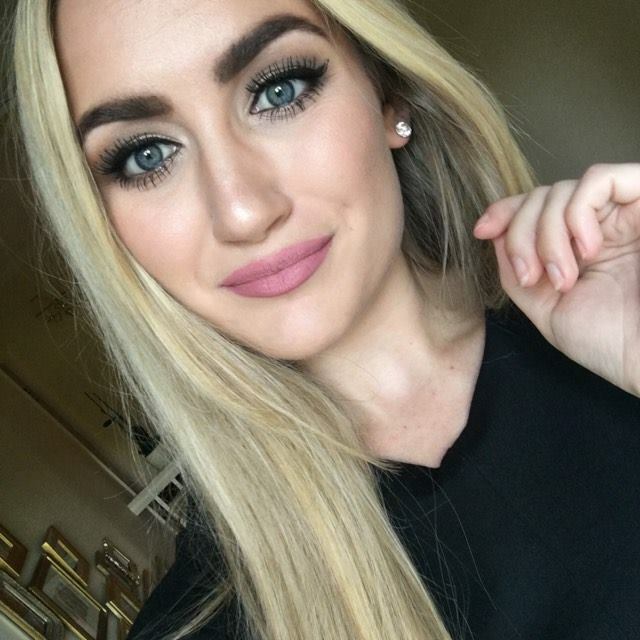 I'm definitely happy with the results. I found that the shakes were very useful to me, as it meant I didn't have to worry about eating on my awkward working hours. I shifted that chocolate weight that was creeping up on me, and I felt really good about it. I was even back in crop tops by the last day! One other thing that I really like about the product, is its aesthetic. I am pretty obsessed with pink, so I was very much a fan of the packaging and the shaker. The shaker was really easy to use, very portable and can be used independently of the Body Shake. I still use the shaker for protein shakes. If you're looking to drop a couple of pounds in a small timeframe, want a quick and easy meal replacement or just want a tasty shake - I would 100% recommend the Body Shake. I'm already debating buying another tub! £20 for 2/3 meals a day for a week is hardly breaking the bank. 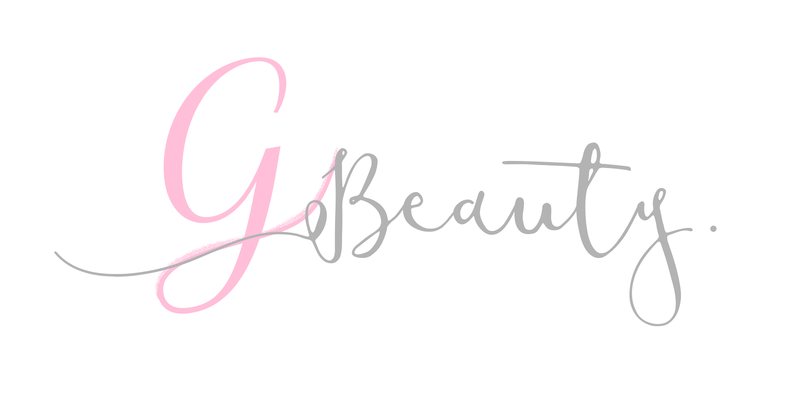 I have been very impressed with Slim Sublime and am very happy with my results! 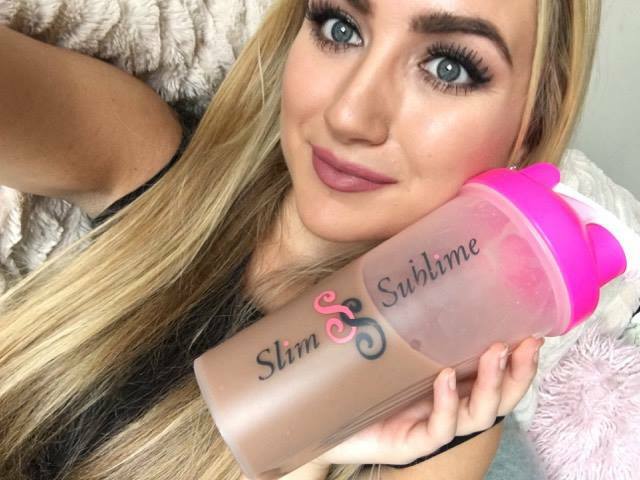 For 20% off, use code: GWENI20 at https://www.slimsublime.com/ at checkout! This post is sponsored by Slim Sublime, but all opinions and weight loss figures are my own.